The Table Mountain Aerial Cableway is a cable car transportation system offering visitors a five-minute ride to the top of Table Mountain in Cape Town, South Africa. 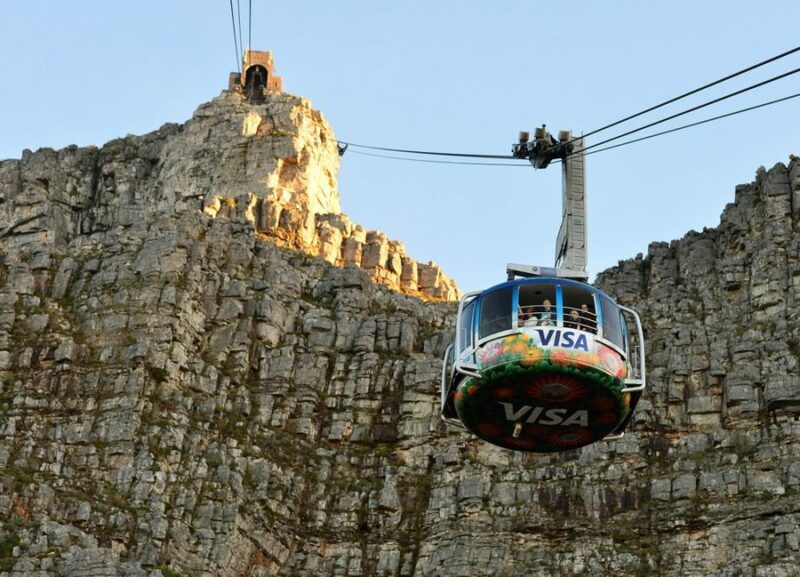 It is one of Cape Town’s most popular tourist attractions with approximately 900,000 people a year using the Cableway. In February 2016, the Cableway welcomed its 25 millionth visitor. The upper cable station in on the westernmost end of the Table Mountain plateau, at an elevation of 1,067 metres (3,501 ft). The upper cable station offers views over Cape Town, Table Bay and Robben Island to the north, and the Atlantic seaboard to the west and south. Amenities at the upper station include free guided walking tours, an audio tour, delicious meals at a café and a wi-fi lounge.